In mid-1963 we contacted the Jewish Community Federation of Cleveland (JCFC) to ascertain if any national Jewish organization was providing guidance on the Soviet Jewry issue and if a committee had been set up locally to address the issue. We were surprised to learn that nothing was afoot nationally or locally. Herb Caron appealed to the JCFC to establish a committee to look into the issue and make recommendations for appropriate action. And subsequently, a subcommittee on Soviet Jewry was set up under the Community Relations Committee of the Federation. After a few meetings it was apparent to us that the pace was pedestrian and that little of practical value was forthcoming. For example, the subcommittee did agree to establish a speakers’ bureau — good. Yet, when push came to shove, it was the efforts of Don Bogart and Dave Gitlin of Beth Israel that produced a slide lecture on Soviet Jewry. And, when speakers were needed to fill requests, members of our little Beth Israel group ended up doing the entire job. In October 1963, we formally organized the Cleveland Committee on Soviet Anti-Semitism, a nonsectarian, inter-racial, inter-religious entity. Herb Caron and Dan Litt were instrumental in lining up the board of directors. As honorary chairman they enlisted Ralph Locher, the Mayor of Cleveland. Other members were Msgr. Cahill, President of St. Johns College; Bruce Whittemore, director of the Cleveland Area Church Federation; Leo Jackson, a prominent African-American and a member of the Cleveland City Council; and Rabbi Phil Horowitz, the associate rabbi at Fairmont Temple. Herb took on the job of executive secretary to the board. With a letterhead and an honorary board, the Committee was off and running. 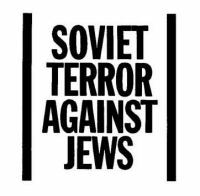 In November, we distributed our first publication, Soviet Terror Against Jews: How Cleveland Initiated An Interfaith Protest [pdf], containing a description of the Soviet Jewish problem and an Appeal to Conscience to Soviet Leaders that we requested the reader sign and return to us. About the same time we placed a large ad in the Cleveland newspapers with the Appeal to Conscience and a clip-out, return coupon to sign. 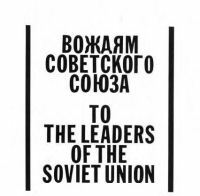 In April 1964, a second publication, To the Leaders of the Soviet Union [pdf], was distributed containing a letter to Khruschev and the names and addresses of more than 600 signers of the Appeal to Conscience. All this and later publications brought us attention from the press and from Clevelanders and individuals elsewhere in the States, who asked to receive our mailings. Within a few years we amassed a significant mailing list (which, in time, grew to include international correspondents). Strange as it seems, our small operation was in contact with people across America, who sought information and advice or to exchange experiences. (In retrospect, a measure of the latent enthusiasm to succor Soviet Jews that later would be called ‘the Soviet Jewry movement’) We had no central office; rather we worked out of our individual homes. Periodically, we met to confer at Herb’s house. We were committed to doing what ever we could.